We invite you to join our Outlaw family and set sail on our fourth Outlaw Country Cruise! Sail away with us January 27- February 1, 2019 as we make our way from Tampa to Great Stirrup Cay and Nassau, Bahamas. KES collaborated with Snoop Dogg on a remix of their carnival release STRESS AWAY (produced by 1st KLASE and KES). The single was well received and marked new territory for KES. 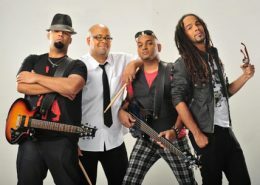 The band also began raising the bar locally with respect to music videos with the release of the video for STRESS AWAY. The Band released more albums with tracks such as “Precision Wine”, “Stress Away”, Million, “People” and “Coming Over” enjoyed heavy rotation on local radio stations. 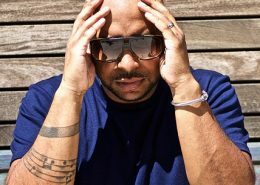 Born in the capital city Port of Spain, Trinidad and Tobago, it seems Kerwin was always destined for success in Calypso and Soca. Kerwin, who started singing in primary school not only took part in the nation’s first Junior Calypso Monarch Competition, but also won the title in the second year. The talented performer rose through the ranks of the calypso world, captured the Young Kings title and even reached the Big Yard for the National Calypso Monarch finals on several occasions. Hailed as a rising star, he delighted all with his melodious voice and thought-provoking lyrics and was selected to represent Trinidad along with other young Calypsonians for a Calypso Youth Exchange programme hosted by the Association of British Calypsonians in the UK, where he settled for a number of years, eventually capturing the UK Calypso Monarch title. In recent years, Du Bois has spread his wings and can no longer be considered simply a calypsonian, having branched out into Soca not only as a performer but also as a highly rated producer and songwriter. 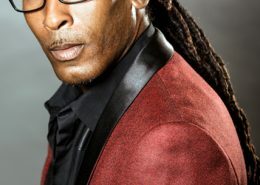 In 2007 he teamed up with one of the most highly rated divas of soca Denise “saucy wow” Belfon, the results the hit song “De rose & de stem,” however one hit wasn’t enough, and the popular “Party Rocker” certainly had the industry buzzing. In 2008 he captured third place with Shal Marshall in the International Soca Monarch competition with the international hit “Gyal Farm,” which he wrote and produced. Things didn’t end there as “Breathless,” another one of his compositions and productions, also took Roy Cape’s Blaxx to the International Soca Monarch finals. 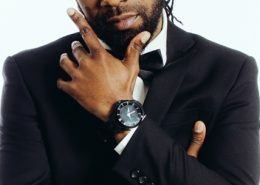 It was therefore no surprise when he was nominated for eight (8) International Soca Awards and went on to capture two, the Soca Producer of the Year and Best Groove Collaboration. He was also nominated for 3 COTT awards, Groovy. The year 2012 has been dubbed by many as the Year of the Bacchanalist… With four major hits, Carnival 2012 was transformed, when the “Runaway Bacchanalist” released: ‘I AM SOCA’ featuring Patrice Roberts, ‘Baddist’ featuring Destra Garcia, ‘Runaway’ featuring Bunji Garlin, ‘Bacchanalist’ and ‘Make Room. .
Du Bois made it all the way to the finals of the International Soca Monarch, placing second in the Groovy Soca Category. 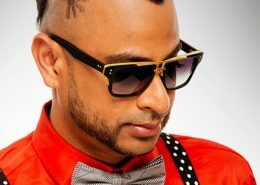 Kerwin Du Bois also went on to win the International Soca Awards in four categories for 2012; Soca Songwriter of the year; ‘I AMSOCA, ‘Baddist’ and ‘Bacchanalist. He later won the Soca Monarch in 2014 with “Too Real”. Her music has already proved its staying power and its ability to captivate multiple markets. Destra has won fans the world over and has set the mark for high energy, live sets that leave audiences wanting more. I strongly believe that as I grow in this industry, I am learning more and more everyday says Destra Garcia. I am learning about myself, resistance, persistence and spirituality, all of which I rely heavily on in my career. 2006 – Destra signs up with telecommunications giant, Digicel to become their first female spokeswoman in Trinidad and Tobago. Destra has shared the stage with international superstars like the Heather Headley, Sean Paul, Shaggy, Ja-Rule, Rihanna, Mary J Blige, Patti La Belle, Natalie Cole, Diana Ross, Gladys Knight, Stevie Wonder and Beyoncé. Destra has now released seven albums, her first being Red White and Black in 2003, Laventille (pre release& Laventille– 2005, Independent Ladies– 2006, Soca or Die–2007, HOTT– 2008, Welcome Back– 2011 showcases all of her hit songs for 2011 as a soloist and having done three (3) collaborations, continues to be a favorite with her music now available at Amazon and i-Tunes. 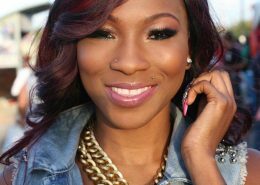 Her two (2) new releases (Beautiful Day and Breaking Away) have also created waves in the dance and house music categories and are featured in her latest Album release MY DESTRA.COM– 2012. For the past seven years Destra has won many awards and accreditation’s some of which include 15 Soca Awards and five COTT awards three of which were best female songwriter from 2004-2007 and best pan song 2006. She remains the most requested female Soca artists of the Caribbean and the world. Her latest acclaim would be Best Female Soca Performer at the IRAWMA awards held in Trinidad last year. It was in 2008 however, that he made a major impact in the soca arena. The release of “Head Bad” for Vincy Mas that year, led to him winning the St. Vincent Soca Monarch title but this was just the beginning. Since winning the title, Skinny Fabulous has gone on to collaborate with some of the regions top soca acts including Jamesy P, Kevin Lyttle, Bunji Garlin, Fay-Ann Lyons, Peter Ram, Fireman Hooper, Kimberly Inniss and many more. He has toured the region, Venezuela, Columbia, USA, Canada, Germany and England; exciting crowds wherever he goes. Easily inspired Skinny Fabulous is an artist on the look out for new material and when on stage he doesn’t disappoint as he is always ready to deliver a high energy, impactful performance from his repertoire. BOOM! Devon although very talented only took his music career seriously in the year 2003, where he started to record. 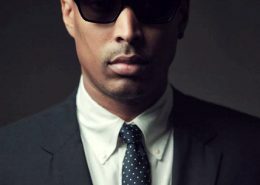 His first recording was at Dainjamentalz studio in New York, where he recorded a track entitled tiger bone. Since then he has managed to be a consistent voice on the airwaves worldwide and is now one of the most sought after performing artist. His music has taken him on tour to London, Bermuda, Toronto, Bermuda, North America and the Caribbean. Lyrikal has built an extensive catalog, and has released several hits. His repertoire consist of over 40 releases including Cloud 9, Loner, Conquer Meh, Locked Down, Part Of Yuh Nature, All Over De Gyal, Ramajay, 25/8, and countless collaborations with leading artistes. He is currently working on his first album. Teddyson John known as Teddy or TJ to his friends and family, has been wowing audiences since, “before his feet could even touch the peddles of the drum set”. Teddyson admits that neither his mother nor father is musically inclined yet he and his two brothers, “seemed to have gotten it from somewhere”. His brothers, Francis John is the founder of the band, Blue Mango and Hervin John has his own band on the cruise ship line, Royal Caribbean. Teddyson’s first recording was a song called ‘Sweeter’. We know you’re thinking ‘it must have been a soca’, but believe it or not, it is a gospel song as Teddyson actually started off singing and performing in church. This song was recorded at the legendary Den Studio. He is no stranger to the stage! His performing experience however stems from his school days when he attended Sir Ira Simmons Secondary School, participating in events such as Mr. & Ms. Teen Talent and Mr. & Ms. Valentine. It is those early performances that paved the way for him to shine bright at the Groovy Soca Monarch and Power Soca Monarch competitions leading him to have won the crown twice of the four times he has entered since 2007. There are two sides to Teddyson, a Soca side and a Jazz side. This diversity has allowed him to perform all over the world, including Miami, New York, Toronto, Los Angeles, Barbados, Martinique, Cayenne, Paris and of course his home, Saint Lucia. Teddyson has also performed with world famous artiste Patti LaBelle and the likes of James Ingram, Bebe Winans, and Brick & Lace. He has also been afforded the opportunity to open for Destra and Machel Montano. After 25 years at the right hand of Machel Montano and Xtatik, Darryl Henry a.k.a Farmer Nappy has embarked on a new venture to develop his solo career. This venture began in mid May 2007, when he traveled to Barbados to work with the award winning producers, De Red Boyz (Mikey ‘Red Dawg’ Hulsmeier & Scott Galt). Nappy offers heartfelt gratitude to Frank Coppin a.k.a Foreigner Frank for sealing the deal and uniting him with De Red Boyz to produce the first song of his solo career. De Red Boyz have also produced Biggie Irie’s ‘Nah Goin’ Home’, which won the Groovy Soca Monarch in Trinidad 2007, and Peter Ram’s popular “Woman By My Side”. Nappy arrived in Barbados on May 18, 2007 with lyrics in hand and a studio date and time set. Thus, Chippin’ (With Me Own Woman) was born. After being conceived in Trinidad and delivered in Barbados, Chippin’ is currently one of the most popular songs on De Red Boyz “Soca Bonfire” Album. Crop Over 2007 was the launching pad for Farmer Nappy as a solo artiste, and it proved to be a successful endeavor. Farmer Nappy’s warm personality off-stage and entertaining performances on-stage won the hearts of many Bajans. Nappy feels an automatic connection to Barbados and refers to ‘the gem of the Caribbean sea’ as his second home. Look out for the Chippin’ Music Video coming soon. The video was filmed and produced by Andrew Hulsmeier of Video & Photo Images and Directed by Suzie Cheeseman. In the past, Farmer Nappy has proven to be an artiste worthy of national recognition as an instrumentalist and songwriter with the band Xtatik. His brotherly bond with lead singer Machel Montano goes way back to the inception of Pranasonic Express. At the age of seven, Nappy embarked on his musical journey by playing percussion in the young band that later came to be known as the big band Xtatik. As the band evolved, Nappy emerged as an award winning, multi-talented song writer. On the 1997 Xtatic album Big Truck, he wrote and co-wrote recognizable hits ‘Big Truck’, ‘Music Farm’, ‘Tayee Ayee’, ‘Crowded’, and ‘No Carnival’. Nappy won the award for “Best Song Writer” in 1998 for “Footsteps”, which was “Road March of the Year”, on the album “Toro Toro”. The song was also awarded “Best Song of the Year”. He co-wrote ‘Vendors’, ‘Pump the Iron’, and ‘Working Dog’ all on the same album. In 1999, Nappy co-wrote ‘UFO’ with Machel, Beenie Man and Darryl Eugene. He co-wrote ‘Big Phat Fish’ and co-produced ‘Low Riders’. In 2000, Nappy co-produced and co-wrote the tremendously popular ‘Water Flowing’.‘Last Singer’ produced by Sir Oungku of Red Hot Flames took Nappy all the way to the finals of the 2001 Soca Monarch. In 2002, Nappy featured in his first music video ‘Junkyard’. In 2003, he wrote ‘Dancing’, produced by his Xtatik room-mate Dwain ‘Dwaingerous’ Antrobus. That same year, he co-wrote‘Granny’. Another big hit is Big People Party! Born on the island of Antigua on July 31, 1985, Ricardo Drue has become one of the most passionate breakout artists in the Soca Industry. After moving to Cocoyea San Fernando, Trinidad & Tobago at the age of 4, and growing up in a musical family, Ricardo realized at a young age that music was his passion. 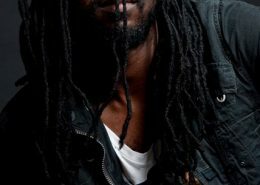 After being influenced heavily by Soca, Reggae, R&B and Hip Hop all his life, Ricardo became the lead singer of Crossovah, a dance and vocal quartet in 2006. Crossovah became known internationally after being the opening act for recording artists; Jeffery Osborne, Fat Joe, Sean Kingston, Red Rat, TOK, Patrice Roberts, Allison Hinds, Destra, Machel Montano and many more. Ricardo broke away from Crossovah in 2010 to focus on a solo career. Between 2010 and 2014 Ricardo garnered many musical achievements. In 2011 he became the co-lead singer of the Roy Cape All Stars band in Trinidad and Tobago. In 2012 became a brand ambassador for Digicel Antigua & Barbuda. The year 2013 saw the release of his first studio album; Dreams of My Reality with the breakthrough single Dreaming. 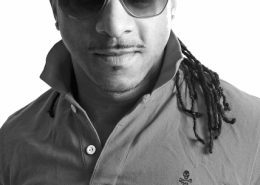 In 2014, Ricardo released his second album My Time, the city of Boston dubbed June 21, 2014 “Ricardo Drue Day”, became the Power Soca Monarch of Antigua and Barbuda and launched his mega hit Vagabond onto the world. Vagabond gained quick popularity and became Ricardo’s first international hit catapulting him into a successful 2015. The year 2015 has been Ricardo’s breakthrough year. He entered Trinidad & Tobago’s International Groovy Soca Monarch competition where he placed 2nd Runner Up with Vagabond, won Music Video of the year at the 2015 International Soca Awards, won breakthrough artist of the year at the COTT Awards and defended his crown as Antigua & Barbuda’s Power Soca Monarch and released the singles; No Shame, Rider, Winner and Bet. Ricardo is once again seeing international success with his groovy release Professional which has a mass following in Antigua, Barbados, Canada, North and South America. His single Bet has been gaining momentum in the later months of 2015. With 2015 coming to an end, you can bet that Ricardo Drue will continue to release new music for his fans AKA the members of ID Nation to groove and dance to for years to come. It was in 2005 when the world heard her voice alongside that of Bunji Garlin. … Speedily the question of who she was circled the Caribbean entertainment industry, with only a few being able to provide an accurate answer. It was her refreshingly soothing and powerful vocals that quickly got her the attention that many established entertainers would have desired years before her name popped up. Now, fondly referred to by her close friends and family as Patsy, Patrice Roberts has assumed her position in the Caribbean music industry as a force to be reckoned with. 2015 promises to be another great year for him as his offerings for this season are already building to be main stream including: “Friends” a collaboration with GBM Nutron, “Party”, and newly released Chutney Soca with Ravi B “Dutty”. He also has “Time of My Life” in which he celebrates life. He is not done there’s still more to come from Shal Marshall for 2015… so stay tuned for great music from the artiste SHAL MARSHALL. 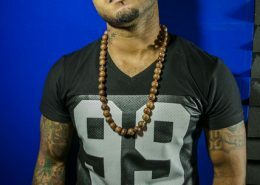 Singer, songwriter, producer, and musician – GBM Nutron, known to many as, “Nutron”, was born and raised in Trinidad and Tobago. He is the son of June Carter and musical arranger/musician Ancil “Perez” Forde. 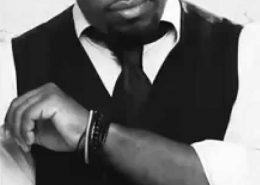 Nutron started writing, producing and singing with his brother Kevon Carter (of Imij and Company) when he was 18 years old but has loved music from the day he was born! Nutron spent many of his adult years producing for artists like Machel Montano, Destra Garcia, Shal Marshall, Lyrikal, Ravi B, and others. He is known as one of the innovators in the field when it comes to the Groovy Soca revolution. Written and produced by GBM Nutron and his partner Kenwyn Holder (sung by Machel Montano), “Bend Over” was the first soca song nominated (in 2011) for a Soul Train Music Award. GBM Nutron has truly enjoyed his success thus far but continues to strive for musical excellence. He appreciates the support and love he receives from his dedicated well-wishers and followers. He intends to continue to give the gift of music to soca-lovers everywhere and keep causing a SCENE!!! Ravi B is one of the most prestigious Indian male artistes from Trinidad and Tobago because of his versatility and charming personality. He is one of the youngest and most creative musical producers, directors, singers and one of the most sought after musical programmers in Chutney and Soca. Ravi attended the Sangre Grande Hindu school, North Eastern College, University of the West Indies and he is currently pursuing his degree in business management and sound engineering. Ravi started his career with his uncle (Krishna Teddy Bissambhar) and father (Jewanlal Buzzy Bissambhar) singing at the age of 13 and ever since this young artiste has just kept on aspiring. At the age of 25 he became the lead vocalist, music director/producer and arranger for the popular Caribbean fused music band Karma which he founded with his brother (Anil Bissambhar) and his sister (Nisha Bissambhar (Nisha B)). He is also a top radio personality with Trinidad and Tobago’s leading East Indian radio station, 90.5fm. Ravi has toured the Caribbean, North America, Canada, Guyana, Europe and Suriname, representing Trinidad and Tobago’s culture, Chutney and Soca. He was also voted the Best New Artiste in the year 2003 and he received the award for Best Bhajan album in 2005 following a numerous amount awards over the years, his recent being Chutney male Artiste of the year 2015, best ChutneySoca Song of 2015 and Chutney band of the year 2010 to 2015 at the International Soca Awards 2015 that took place in New York City. He was nominated for Best Chutney Soca artiste at the International Reggae Awards 2015. Ravi was also a finalist in the Mastana Bahar and Chutney Soca Monarch competition in 2010 becoming the youngest person to have ever won the CSM Title. He is also the current Chutney Soca Monarch (CSM) 2015 and Traditional Chutney Soca Monarch(TCM) 2015, three titles that again makes him the youngest to hold three titles. Some of his greatest achievements includes being the first Chutney Soca artiste to cross a million views on YouTube with his ever popular track ‘Drinka’ and is still the first Chutney Soca artiste to trend on Twitter on the night of 2013 Groovy Soca Monarch when he performed his monster hit ‘Prescription’ which placed him fourth being defeated by the best of Soca, Machel Montano, Iwer George and Blaxxx. Ravi B is also the first artiste to cross 100000 fans on Facebook. He performed along side Nitin Mukesh in 1996, Shah Rukh Khan in 1999, formed Karma in 2003 together with his Father, Brother, and Sister (“Jeewanlal, Anil, and Nisha Bissambhar”), joined the 90.5 FM family in 2002, performed with Kumar Sanu at the 90.5 FM cook out competition in 2004, was chosen to open the Bollywood Music Awards2005, the Bollywood Movie Awards 2006, received Best Sounding Band at Unifest 2006 in Miami, having his own concert for Father’s day annually and singing with Babul Supriyo on the same stage at Zen Trinidad. Ravi B has already produced 12 Albums and is presently making waves with his big hit songs Personal, GT, Dutty, Dulahin, Monday, Over doing it, Prescription, Bread, Drinka, Rum is meh lover, Dularie and Jep sting to name a few.